The much-anticipated sequel to the critically acclaimed, global box office phenomenon that started it all, “The LEGO Movie 2: The Second Part,” reunites the heroes of Bricksburg in an all new action-packed adventure to save their beloved city. It’s been five years since everything was awesome and the citizens are facing a huge new threat: LEGO DUPLO invaders from outer space, wrecking everything faster than they can rebuild. “The LEGO Movie 2: The Second Part” is directed by Mike Mitchell (“Shrek Ever After,” “Trolls,” “Sky High”). 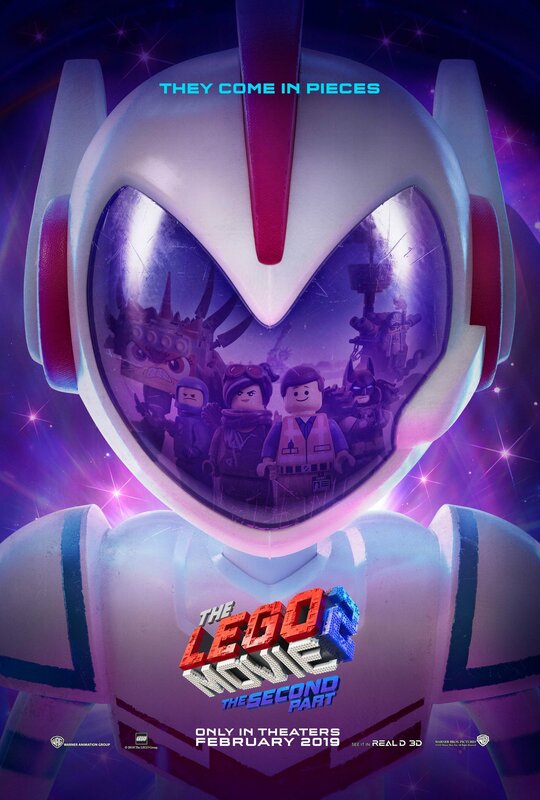 It is produced by Dan Lin, Phil Lord, Christopher Miller and Roy Lee, the team behind the LEGO film franchise since “The LEGO Movie” debuted in 2014. “The LEGO Movie 2: The Second Part” opens nationwide in 2D and 3D on Friday, February 8, 2019.